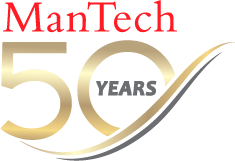 Currently, ManTech is seeking a motivated, career and customer oriented Junior Help Desk Specialist to join our team in the Springfield, VA area to provide unparalleled support to our customer and to begin an exciting and rewarding career within ManTech. - Provide technical assistance and telephonic support for Service Desk to Intel Customers. - Maintains documentation of problems and meets Service Level Agreement Requirements for calls answered and resolved.